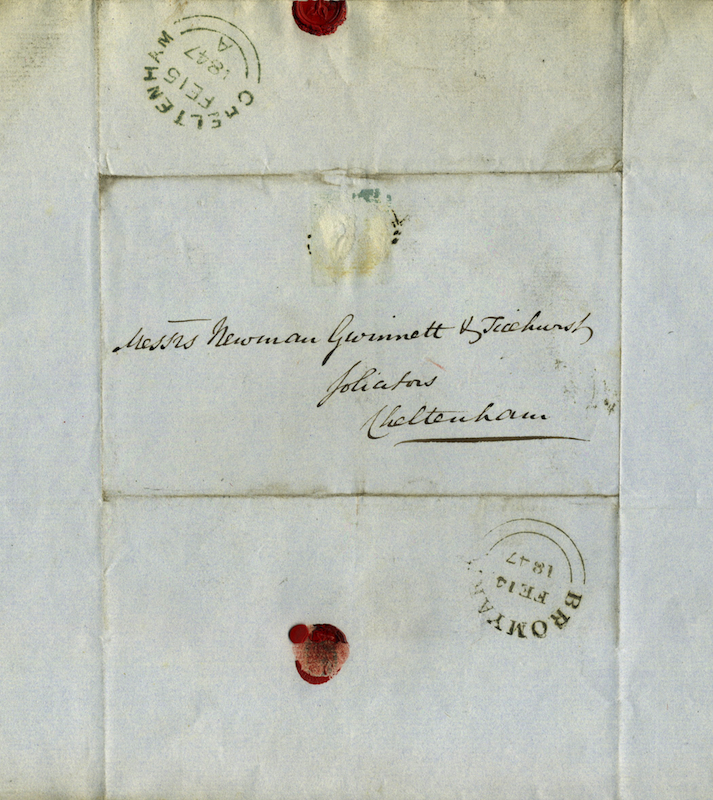 This is an entire letter with stamp removed, posted in BROMYARD where it received a double arc postmark dated February 14th 1847. Addressed to Cheltenham it received a double arc postmark in green on arrival the following day. 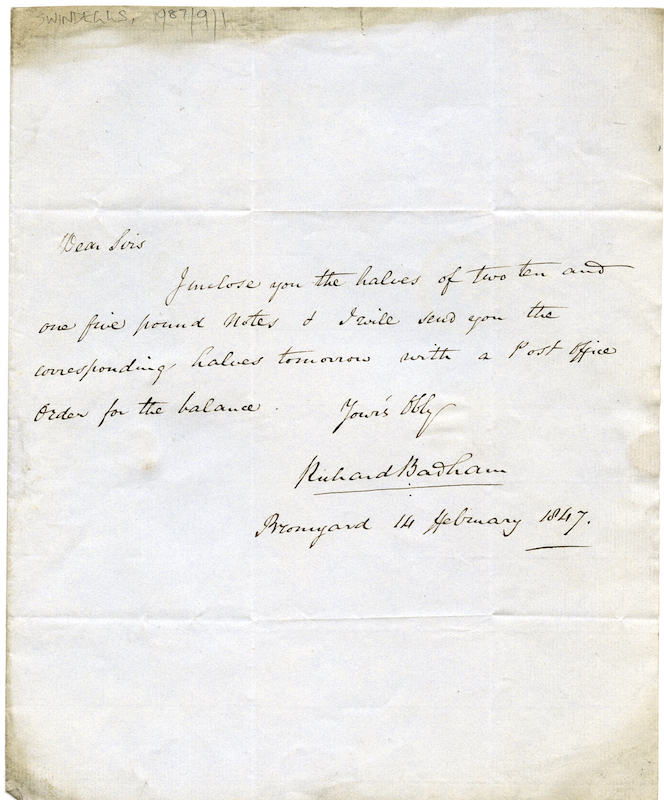 The letter to a firm of solicitors was written by Richard Badham and enclosed " the halves of two ten and one five pound notes" promising to send the corresponding halves the following day. As this was probably worth over a thousand pounds today this was a device to make sure one half was not stolen.